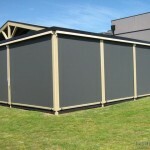 Straight drop blinds are made in three types – fixed timber top batten, spring operated in the top roller and gearbox driven (Crank Operated – winder handle). 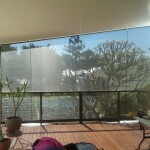 Straight drop blinds are a very versatile product and suitable for veranda’s of all kinds for balcony’s, patios and front veranda’s. 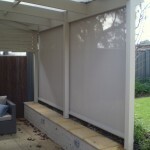 Straight drop blinds will offer you protection form the sun and can offer you either privacy or block out the elements with a view depending on the fabric type you choose. 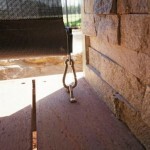 Hoods can be added to the top of the blind but not needed in all circumstances and the fixed timber type will need a pulley kit. 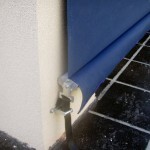 Spring top rollers are as they sound, they operated via a spring loaded system and are very easy to use, lifting with ease. 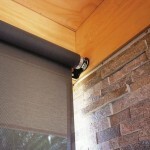 Gearbox driven blinds are the same as a crank operated blind and can be opened and closed with a handle very easy to use. 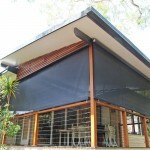 Our straight drop blinds come in a large range of fashionable fabrics, canvas and colors. 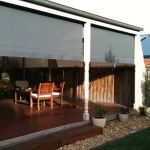 Straight Drop blinds also can come with just brackets which are very practical or you can add on a hood to protect it from the elements depending on how its installed , the hood changes the look in some circumstances but you don’t always need them.